One of the trending topics in manufacturing is how technology is effecting factory processes and systems, but that’s not the only way technology is impacting the manufacturing industry. While many manufacturing companies gain business by word-of-mouth, partnerships and returning customers, more and more manufacturing companies are incorporating digital marketing into their business plans. Here are four ways you can use marketing for your manufacturing company. Step one is to come up with a marketing strategy. 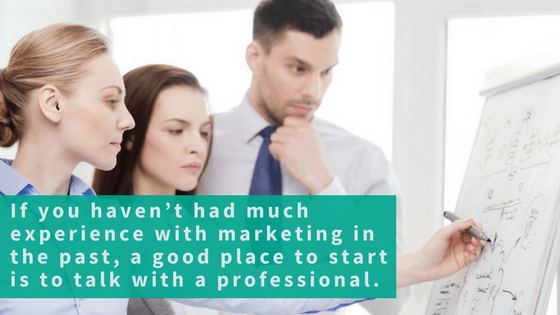 If you haven’t had much experience with marketing in the past, a good place to start is to talk with a professional or two. This could be an internal marketing team or, if you don’t have one yet, look outside your company. For example, you could consider hiring a freelance marketer, marketing consultant or a marketing firm. Set up a meeting to go over your goals with them. Once you have received some guidance from a marketing professional, you will have a better idea of how to accomplish your goals with marketing tactics. Research, research, research! Your digital marketing inspiration is only a Google-search away. A good place to start is to check out the competition. What are other companies in your industry doing to market themselves? Make note of what appears to be successful. You may be able to adopt some ideas for your own strategy. In addition to checking out the competition, look to your partnerships. Are there companies or peers you can survey? Ask what processes and tactics have been working for them. Chances are, your network will be a valuable resource for your company. Make sure your website is up to date with current information. This means your contact information, your staff directory, service offerings and latest news updates. Use your “About” section to describe your company’s purpose and what sets you apart from other manufacturing companies. Why should customers choose you? This is your chance to answer that question. A prospective customer is going to do their research before making a choice and you want to make a good first impression. Another area of a website that you should consider is a “Blog” section. Not all companies utilize this feature, but it is a great space to share information about your company and comment on the latest industry news. 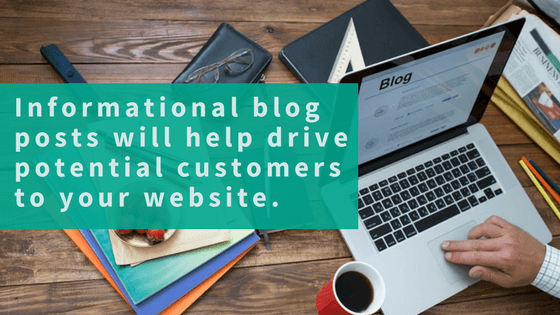 Informational blog posts will help drive potential customers to your website. Social media is much more than a place to view family vacation photos and connect with old school mates. It has become a business tool! Social media pages can be used to engage with potential customers as well as with your current ones. Use it to promote your services and products. 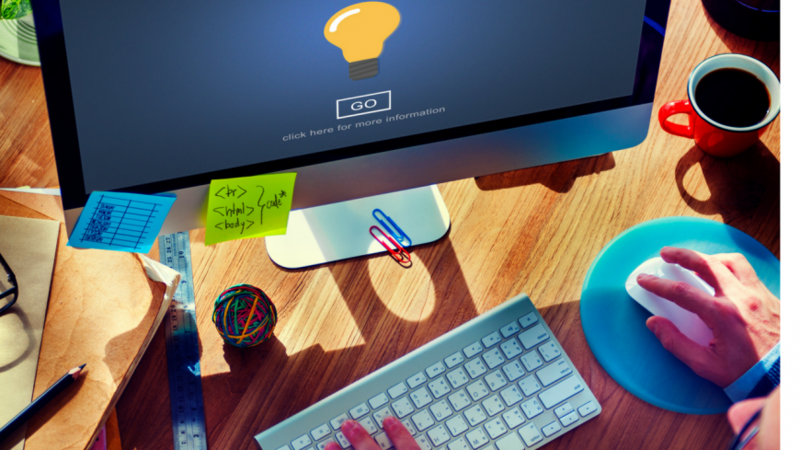 Share your company’s blog posts to drive traffic to your website. Showcase your company culture. Interacting on social media is a smart way to humanize your company. Use advertising on channels like Facebook and LinkedIn. You can choose to target your posts to specific regions or demographics. Want to reach users where you distribute or have a location? Boost a Facebook post and target that area. There are many different social media platforms – so many that it might seem overwhelming to some. A good place to start is to pick one or two social media platforms and concentrate on perfecting those before expanding to other platforms. Select your social media platforms by choosing the ones your customers already use. For example, if you know your current and ideal customers are heavy Facebook users, start there. 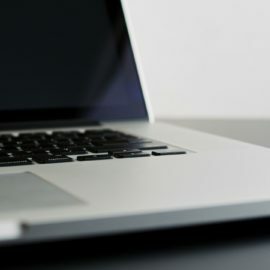 If you don’t have one already, select a user-friendly emailing software, like Mailchimp, Constant Contact, or Campaign Monitor, to start a company newsletter and begin sending email blasts to your contact list. You’ll want to use an email software for this because it allows you create eye-catching emails to send to a large list of contacts. These days, people get a lot of emails, so do your best to add substance to your messages. Don’t just send cold sales pitches or your message may get lost in the inbox shuffle. Develop an email schedule (monthly or quarterly, for example) and include things like your blog posts and any relevant special promotions or announcements that would be of interest to your customers. Include compelling content that is useful for the reader. This will help your company stay top-of-mind for future business and also attract more business as you build your network and add more contacts. Don’t forget to analyze your results! 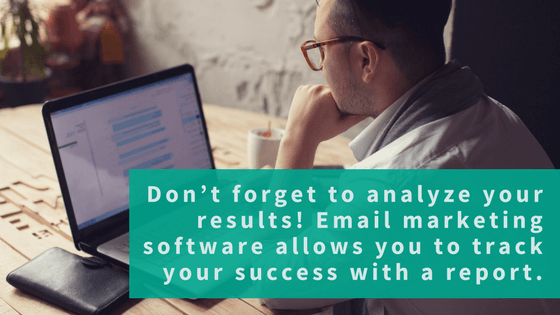 Email marketing software allows you to track your success with a report. You will be able to see who opens your emails and who clicks on certain links. Use this information when following up with potential leads. Remember that marketing isn’t a cookie cutter process. What works for one company, may not work for every company. As you try out different kinds of marketing, keep track of what works and what doesn’t and adjust your plan as you go. Try a few of the marketing ideas from this blog post and watch as your network grows! 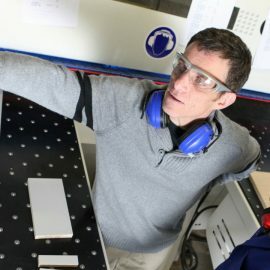 Are you struggling to find qualified manufacturing candidates? 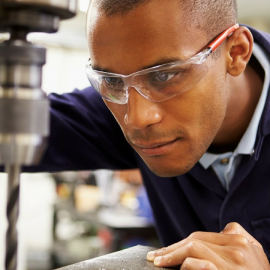 We know how important finding reliable and skilled workers is, but it can be difficult, especially since the manufacturing industry has been suffering from a growing skills gap in recent years. Here are some ways you can make sure you are hiring top-performing workers. LinkedIn isn’t just a social network for job seekers anymore. More than 3 million companies have created company pages on LinkedIn, and for good reason. LinkedIn has proven to be the best lead generation tool for B2B social media marketing.